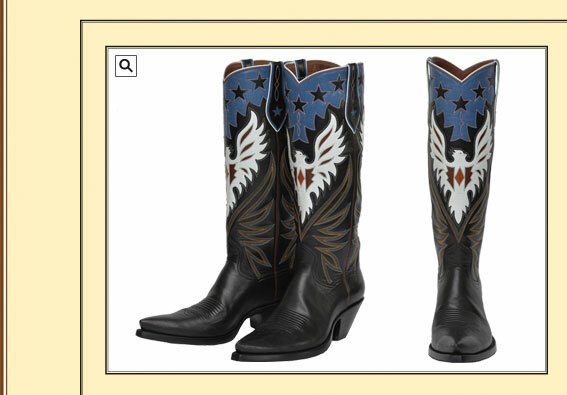 This classic boots brings back memories of the old cowboy westerns. Black French calf foot and black baby Buffalo 16" top with large blue collar with black star inlays and of course the white Eagle inlay. These will look great on you and can stay on the mantle at home when you’re not wearing them. 2 1/4" under shot heel.